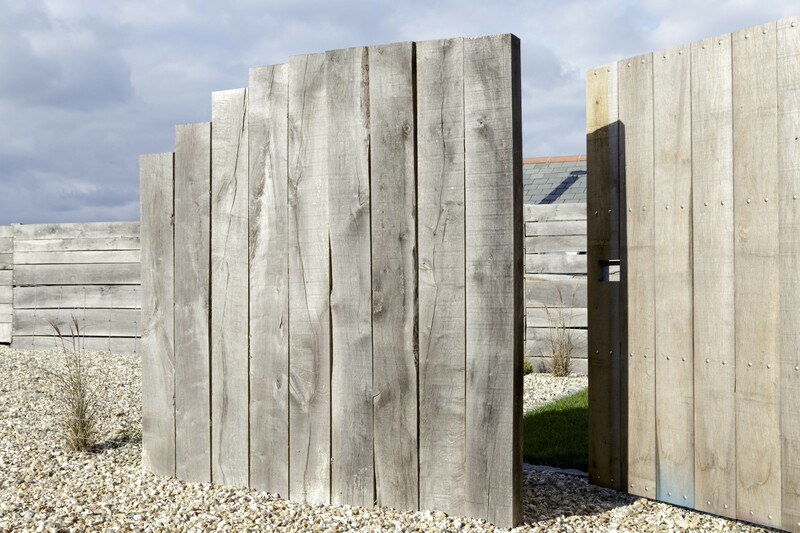 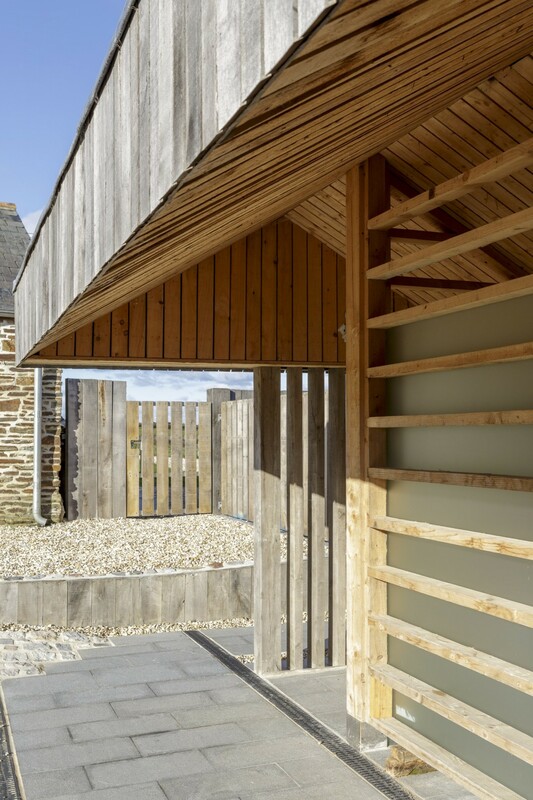 Constructed using pre-cut timber I-beams, wood fibre insulation, offcuts of English oak for cladding, reclaimed stone for the lower walls and reclaimed Delabole slate for the roof, this is a building where reducing embodied energy has taken priority. 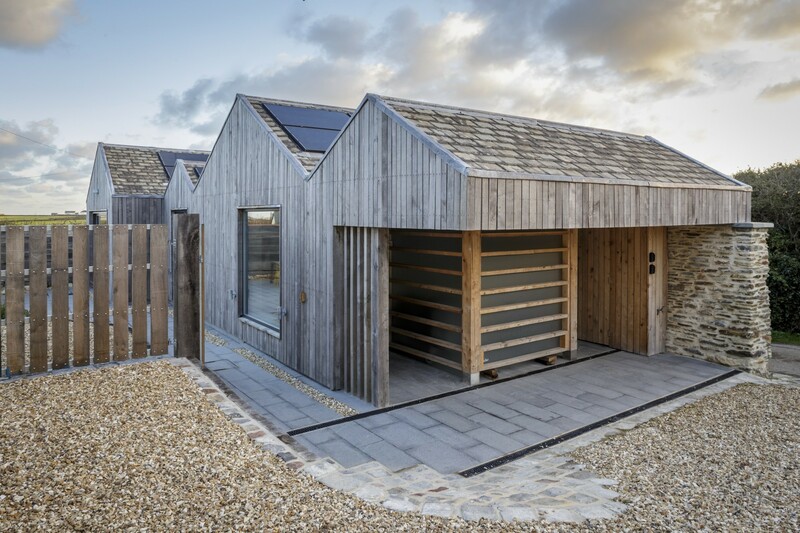 The roof is designed to provide the perfect angle for the 4KW solar array, whilst hiding it from the surrounding AONB. 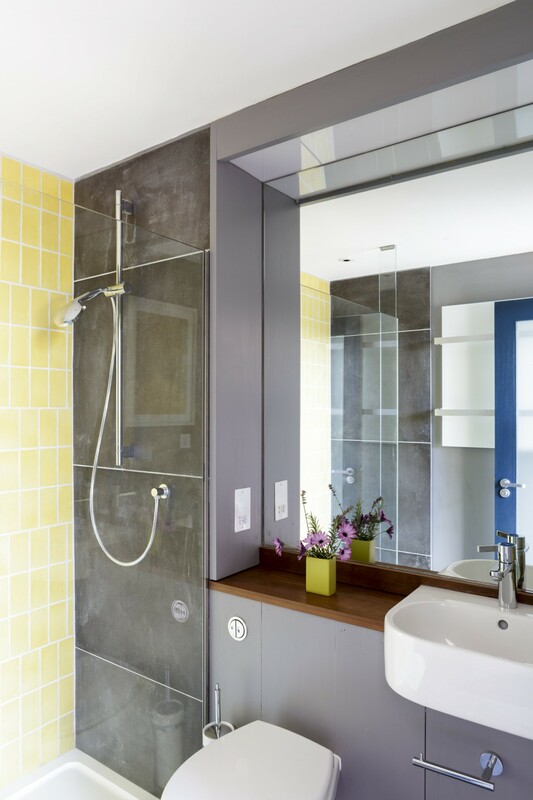 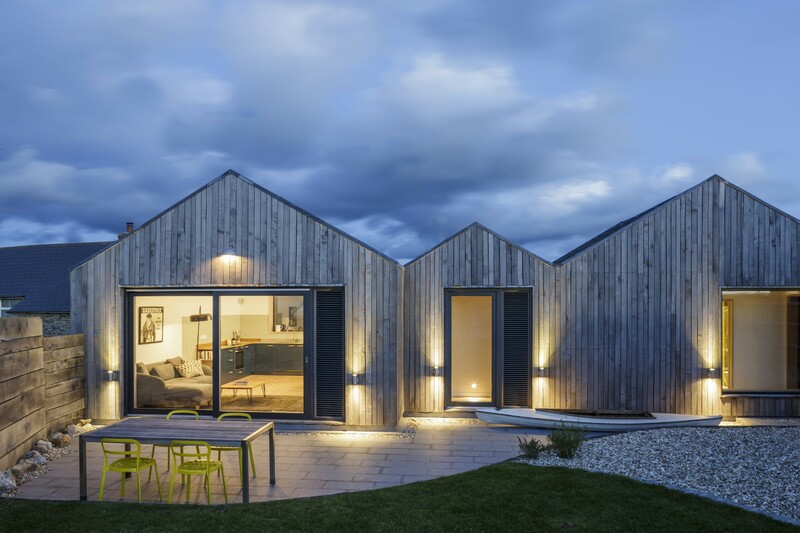 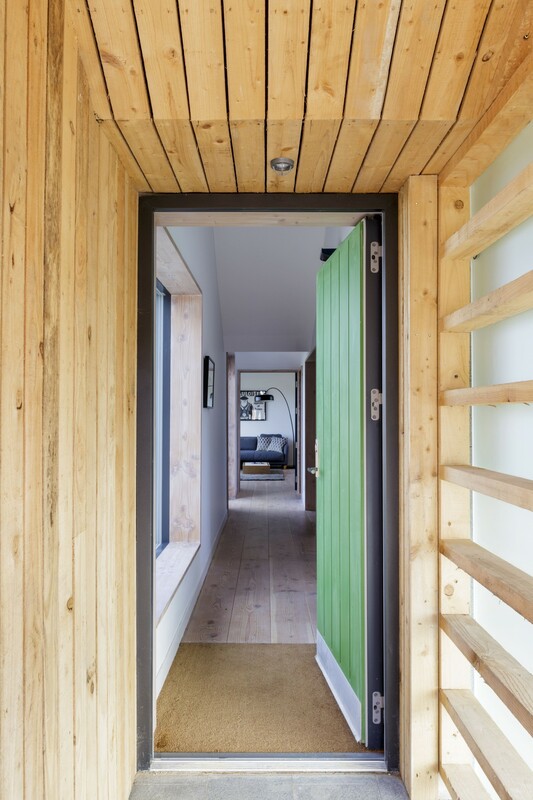 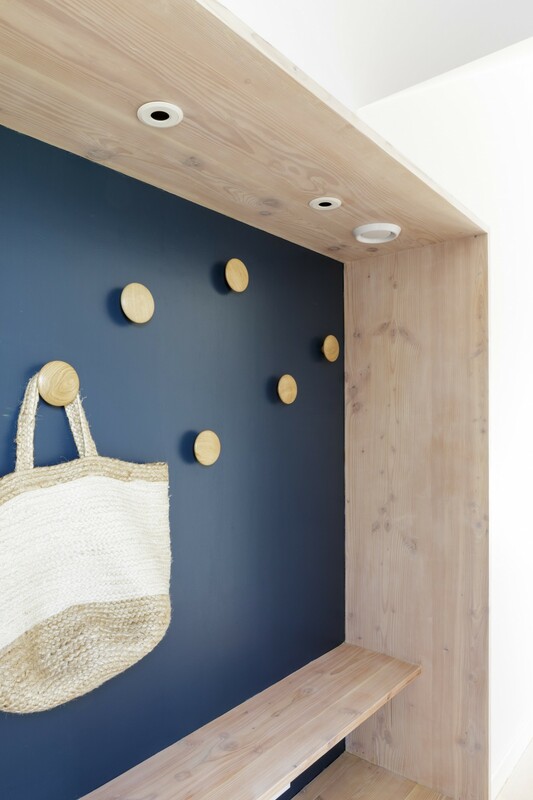 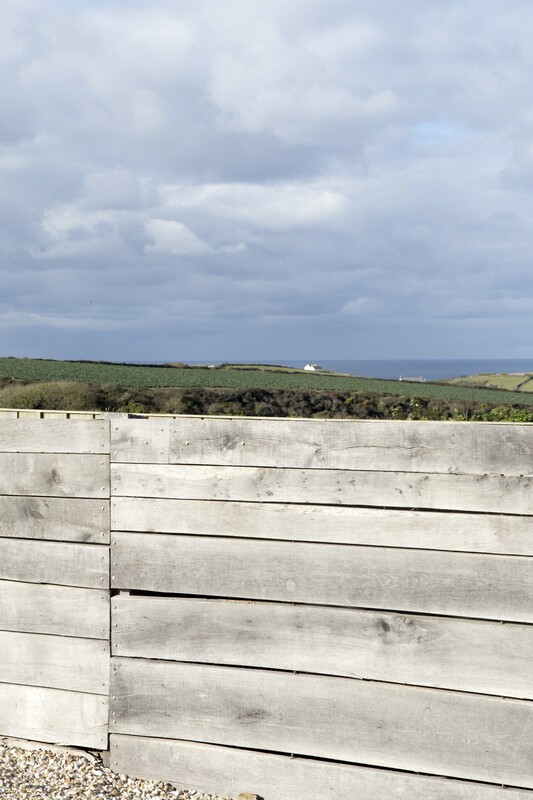 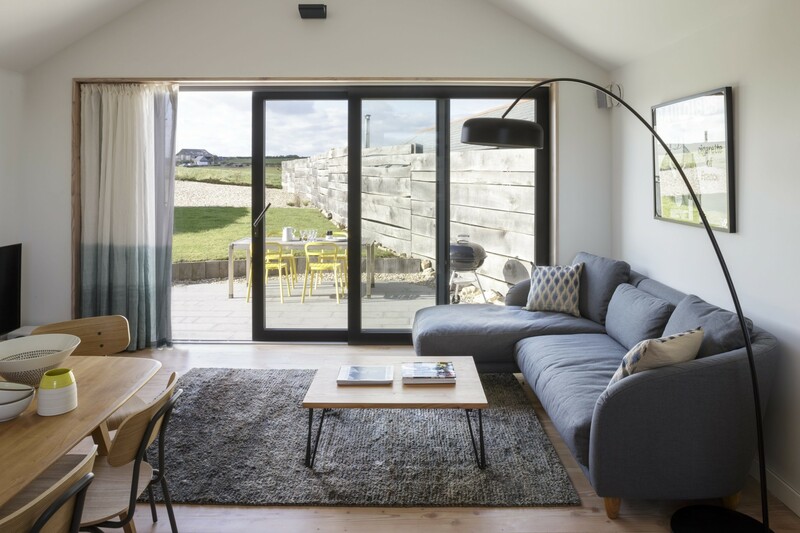 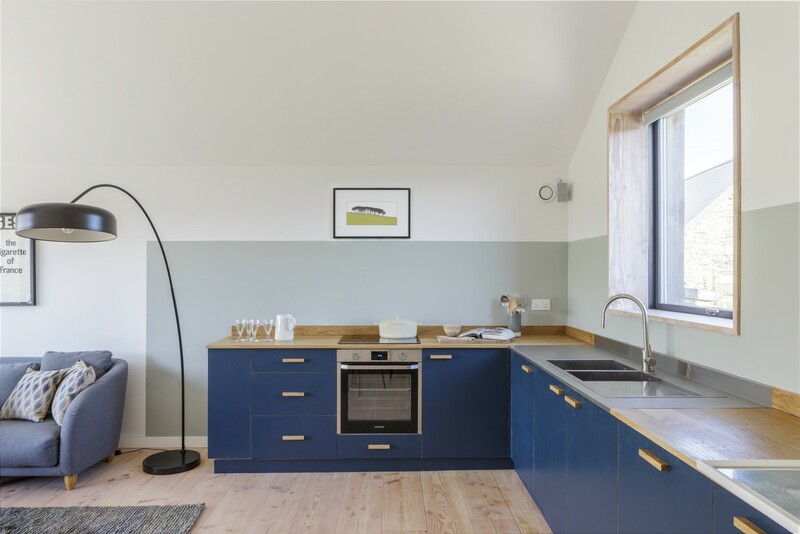 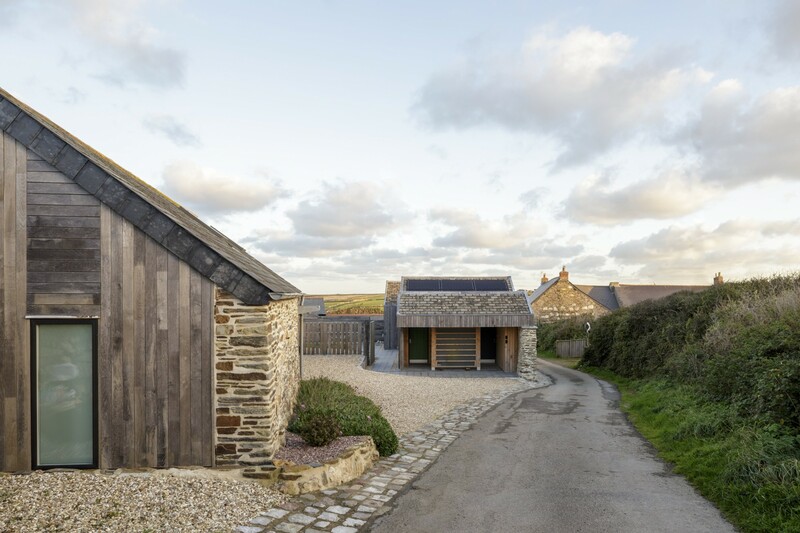 The form references agricultural and seaside sheds and being only 700m from the wild north Cornish coast robust construction and longevity were also key considerations. 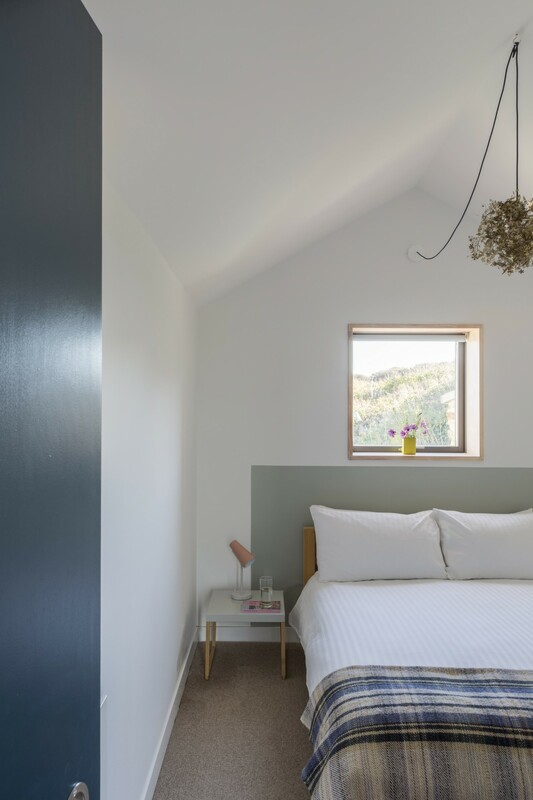 Internally the volumes reflect the folded roof and combine simple colours with beautiful materials to create a stunning two bedroom home.